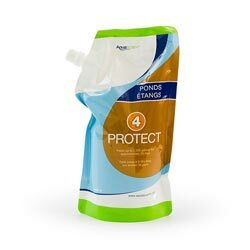 Aquascape Protect is made from natural plant extracts chosen for their natural healing properties that will reduce fish stress, prevent parasites and bacterial infections. Prevents parasites and bacterial infections. Treats up to: 2,500 gallons for approximately 30 days.